A new report sheds light on the phenomenon of haredim being exploited to smuggle drugs into Israel. A new report shed light on the recent arrest of the grandson of haredi MK Menachem Eliezer Moses for smuggling cocaine into Israel and alleged that the haredim are routinely used to unwittingly smuggle narcotics into Israel. Earlier this month, 22-year-old Baruch Klien was arrested at Ben Gurion Airport after he was found with millions of dollars worth of cocaine hidden in various parts of his luggage, including in wine bottles and his Tefillin (Phylacteries) bag. Klien claimed hat he was tricked into transferring a package to an acquaintance while remaining ignorant of its illicit contents. However, Justice Guy Avnon denied him bail after determining that there was a strong likelihood that he was aware of his illegal cargo. News reports said that known members of a local crime family arrived at the hearing in order to intimidate Klien into remaining silent during the police investigation. The news that a haredi lawmaker's grandson had been smuggling contraband into Israel had caused shock throughout the haredi world. However, according to a recent report by Kan, customs officials say that the phenomenon of haredim being used as drug mules is becoming increasingly common due to their lack of a criminal record. "The phenomenon of young haredi boys and girls smuggling in drugs is extremely common and has become widespread in the past years," said attorney Talya Griddish. The report showcased a young haredi woman who explained how a drug dealer had used her to smuggle cocaine without her knowledge. "Police told me I am suspected of drug smuggling and being an accessory to a crime," she said. "Only then did I realize that I was a victim." 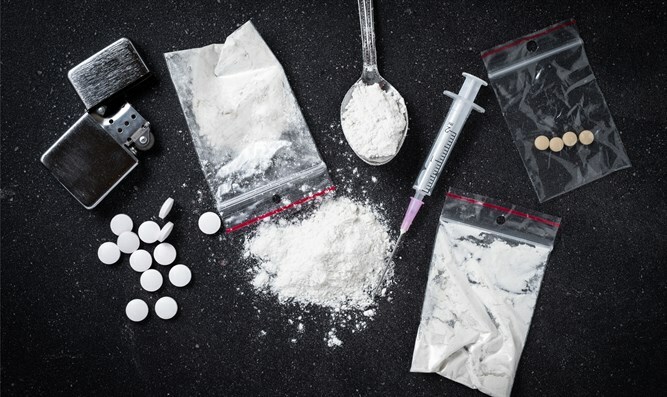 Customs officials added that there has been a massive increase in drug smuggling into Israel over the past few years, with officials nabbing imports of cocaine, heroin, ecstasy, and LSD. The use of haredi youths who have been tricked into smuggling drugs first came to the public's attention in 2008 after three Israeli yeshiva boys were caught smuggling drugs into Japan – inside a suitcase a “friend” asked them to take for him – and were sentenced to lengthy prison sentences. The three Chassidic yeshiva boys from Jerusalem and Bnei Brak, all under age 20 and one under age 18, were asked to transport some antiques from Holland to Japan. The three were part of an “acts of charity club,” and the friend who asked them for the favor, offered them $1,000 each, and assured them that everything was legal, was the coordinator of their group. They, therefore, suspected nothing. Once in Amsterdam, they were given the “antiques” – concealed inside false-bottomed suitcases. Told that this was a precaution against theft, they once again suspected nothing and flew on to Tokyo. In Japan, the false bottoms were quickly detected and broken into by customs officials – who found there not antiques, but $3.6 million worth of ecstasy pills. The man who conned the young men into transporting illegal drugs, Bentzion Miller, was a well-known member of an Israeli Chassidic community. According to police, Miller had “lived a double life,”acting like a religious Jew externally while smuggling and marketing huge quantities of drugs.